Very nice shots! Hhahahhaha, got your machine finally with Irving too. We can do more thorough test on Oscar in our next jam if u or Irving is hosting. See you this noon at my house. You’ll be even amazed with the results from LM though. Hahaha… thanks for the notice. Typo corrected. Wahhh… Nice man.. done with the test… so this mean next will be the delivery and pull of shot at my place.. hopefully tomorrow will do.. looking forward for this man.. Need to test the grinder first. Not done yet. But your Oscar working like a charm. alright bro. hope the grinder will work as it suppose to be. not as what been reviewed. can’t hardly wait. How much did you pay for this machine? Congrats….How is the steaming power? Pretty strong huh? I can more consistent results for a single shot of milk if I close 2 holes. Superb steam power. Steaming an single shot of milk (6-7oz) takes less than 20 sec, which gives you only 5-6 sec for stretching… one wrong move and you end up with large bubbles. Once you get it right it’s beautiful. Takes a bit of practice. So I see an Oscar Club Fan coming up! is isomac grinder good? How much does it cost in kl? I am looking for a grinder now. Any good recommendation? hahaha.. Ethan, you can join even if all you have is a french press. The Isomac Professional is very good. Cute too. Price is RM1250 including delivery, setup and demo. What do you think about the Pasquini Moka90 grinder? I have read some good reviews on this machine. How is it in comparison to the Isomac Professional? Is the Pasquini available in KL? If yes please let me know where i can get it and the price. 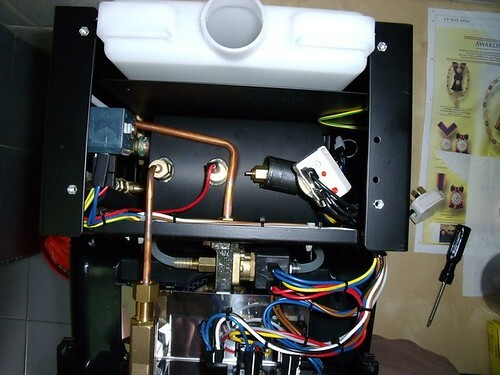 fine good deal coffe mechine to purchace please ..
what is the budget that you are looking at? are you looking at buying new/used? 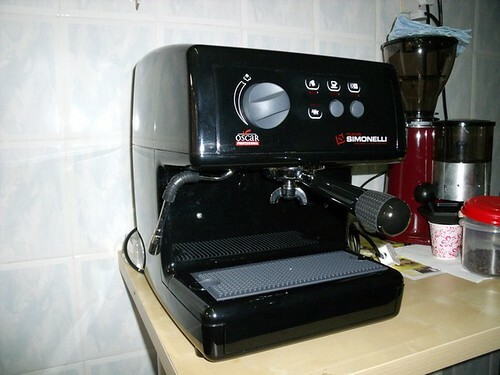 Yes, I’m selling home espresso machine. Yes, it’s the best in terms of total value of price + performance. Yes, it’s the Nuova Simonelli Oscar. 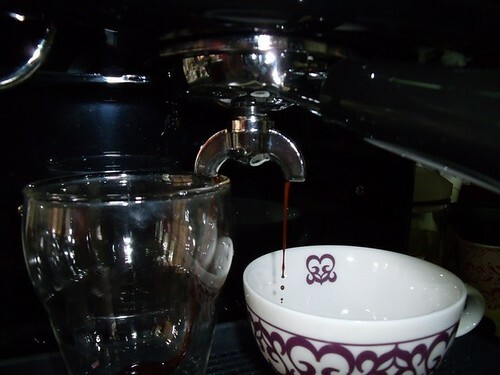 But if your budget is below RM2K, then you can check out the Gaggia range at ETC in the Curve. Hi Chan, what type of pump system is installed in Oscar? How is the consistency of brewing temperature and water pressure? The Oscar is using a Vibration Pump. So far, the brewing temperature and water pressure is very consistent. 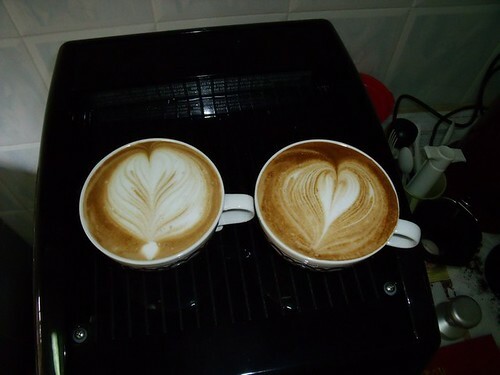 It has been making be very delicious coffee. 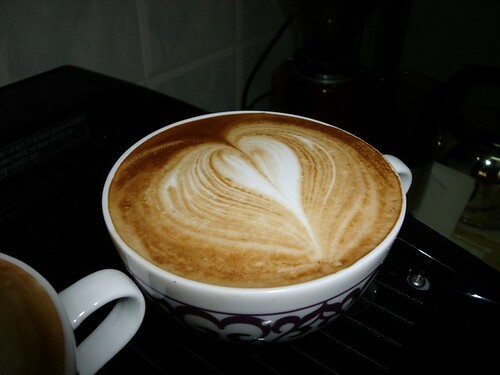 Far better than my old Gaggia Baby. If you have lock in the portafilter tightly and water still leaks, maybe the grind is too fine or maybe you over-dose or over-packed. Thanks for the quick reply KF, i try it out later with other coffee grind. Uhh,by the way what do you mean by over dose :). I saving money for the Oscar 🙂 hopefully to buy it by end of this year.What the price for Oscar without the grinder.I read in one of your post it cost about 3K -5K right? Just the Oscar alone is only RM3800. coffee, get it with a proper grinder. Do you think the Oscar is better than the Gaggia Baby Twin??? I am itching to try out the Oscar. The Oscar is DEFINITELY WAY BETTER than the Gaggia Baby Twin. Soothsayer: Beware the ides of October are upon us! YOGI: What man is that? BOO BOO: A soothsayer bids you beware the ides of October are upon us. MR. RANGER: Fellow, come out from behind thy cup; look upon Yogi. What say’st thou to Yogi now? speak once again. YOGI: He is a dreamer; let us leave him sip his brew: pass. MR. RANGER: Will you go see the order of the Oscar? MR. RANGER: I pray you, do. 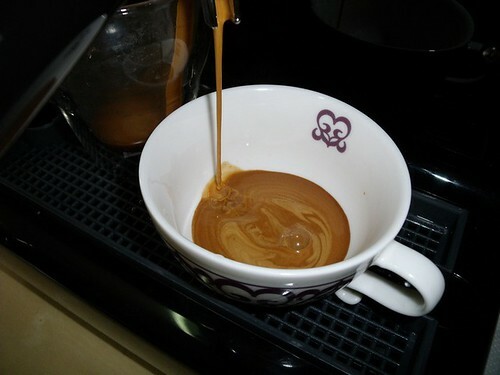 Of that quick spirit found in a good espresso or two. I’ll leave you now for my kopitiam. Over your kopi-o that as of late you desire. Hahaha.. damn funny Bear of Borneo. Sigh… seems like the entire Malaysia and Singapore world is waiting for the arrival of the Oscar. My apology to all for the anxious wait. 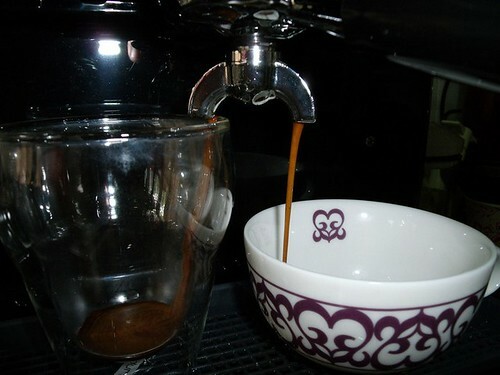 Good espresso awaits. Alas, the shipment has not even reach Singapore yet. Be patience everybody. I know you guys waited a month already. The last round, we all waited for 2 months. Let’s hope this round, it will not exceed 2 months. Thanks for showing us what the Oscar can do…the Milk froth is what i like most. It is a fantastic machine. For the time being i will still hold on to my purchase until i can sell off my Baby Twin. And thank you very much for sharing some of the nice beans that you have. You are welcome. Do join us for the next gathering ok. Event location and date will be announced later in this blog. Merry Christmas to you too. I would like to buy the 58mm Flat espro tamper, the one that “clicks”. Are you able to get one of them for me? Let me know what is the price. Realise that you are really good coffee lover. 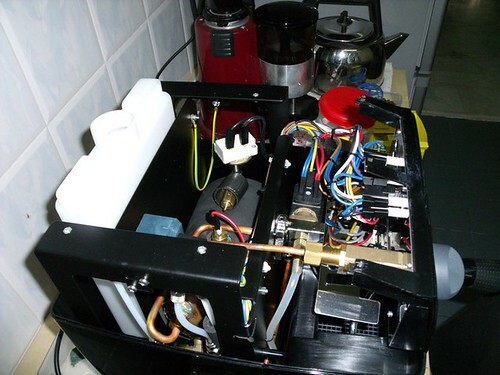 I am looking for a coffee machine attached below 3K included grinder, currently im in Penang. Kindly contact me if you got any good recommendation 🙂 and photograph..
i’m looking for such machine for office and home use… any recommended ? cheap,easy to handle . 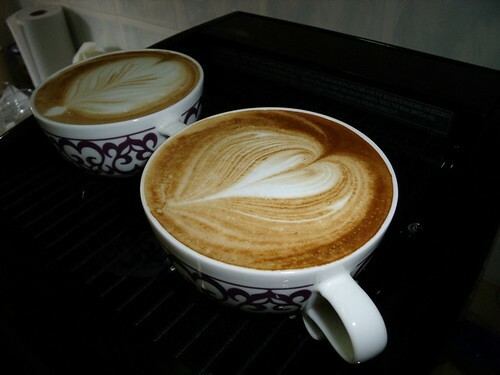 Hi KF, me and my room mate are planning to purchase a coffee machine for the 1st time,budget abt 1K. Can we just get 1 from a very low range? 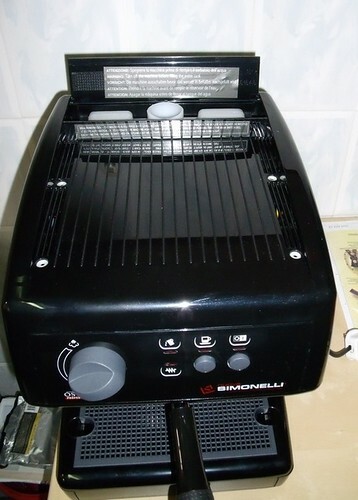 Hi KF, my I Get Nuova Simonelli Oscar, S1 and Musica?